These tips will help you take part in the festivities without sabotaging your weight loss goals. Did you know the typical holiday meal can have upwards 3,000 calories (and 3,500 calories = 1 pound). While that number might sound shocking, many people don’t realize that most holiday dishes are loaded with calories. One or two cocktails here, a couple of appetizers there, and a full plate at dinner, plus seconds quickly add up. The holidays can be an especially hard time to stick to a healthy eating plan and workout schedule, but fear not: It can be done. It’s possible to eat, drink and enjoy the good cheer without adding on extra pounds. 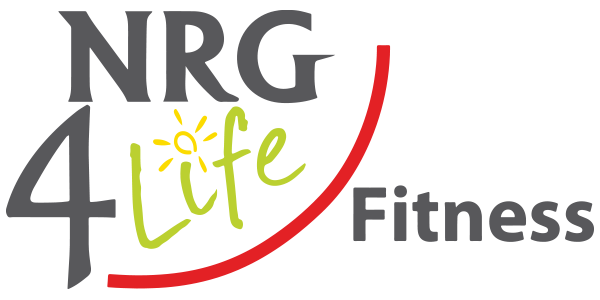 Now is the perfect time to attend one of our weekly 55 group fitness and yoga classes and/or workout at NRG 4 Life. Exercise helps balance out the over indulgences of the season by lowering stress levels, boosting the immune system and increasing energy. Click below for tips to avoid holiday weight gain this holiday season. While you can’t out exercise poor eating habits, maintaining a fitness routine year round helps to keep you strong, healthy and the waist line in check. 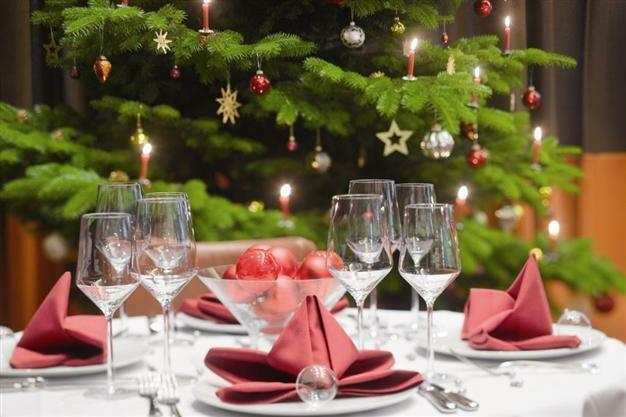 Read below for some nutritional tips that will help you to navigate holiday parties and meals throughout the season. Never got to a party hungry. Arriving at a party hungry, then facing a smorgasbord of choices, is the perfect storm for overeating regardless of your willpower. If you’re satisfied when you walk in, you can focus on making good choices and connecting with people instead of food. Also be sure to work out that morning so you feel like the best version of you. It’s helpful if you don’t go in ravenous—or go in blind. Kindly ask the host what will be on the menu so you know what foods will be there. You can choose one or two of your favorites to indulge in and exercise portion control on the rest. When you arrive at a small bites party or buffet-style dinner, first take a tour to survey your options. Then, ask yourself whether the food or drink that you’re considering enjoying is something that will be really worth it. That doesn’t mean that every spoonful should come with a side dish of guilt. But not being ravenous might steal you some time to pick a handful of favorite that’ll truly cure your cravings. Cocktail hours, passed hors d’oeurves, appetizer stations…this is where the breakdown happens. We tend to not ‘count’ these mini snacks and sips. They’re tiny so they don’t make a difference, right? It’s easy to rationalize when we don’t truly realize the quantity. When you place all of these potentially mindless munchies on a small single plate, you can visualize the scale shock. Avoid grazing and only eat what you put on your plate. I know plates can be piled high and refilled unlimited times, but it’s the nibbling that gets people into trouble. Most of the time, we eat many more calories picking here and there than while eating one plate of food. As you build that plate, start with the vitamin-rich vittles first or for a sit-down dinner, be sure to eat every forkful of the salad. Load it up with the raw or steamed vegetables and grilled proteins, like shrimp cocktail, then pick one indulgent item that you can’t live without and move on. Remember that appetizers start the meal, and adding on too many excess calories before the meal can prevent you from feeling your best during the special occasion! Mindful eating is useful for everything from overcoming emotional eating to maneuvering through the calorie minefield that is cocktail hour. Make your selection, take it all in – we eat with our eyes first so take note of enjoy what you’re tasting. Savour every bite, mindfully. Does this taste as good as it did during the first bite? Is this dish as amazing as I expected it to be? Our palates change when our bodies have had enough; we just don’t often pay attention to that, especially in the middle of a party. This one-two punch of simple questions will keep your taste buds true. Place nothing completely off limits. If guilt is involved and you end up eating that food, the ‘to heck with it, I’m already off track so I might as well stay off track’ mentality will likely appear. Give yourself permission to get pleasure from food. Food is supposed to be fun, not stressful. Instead of banning specific bites, give yourself “yellow light” and “green light” foods. Fill up on fresh fruits and veggies, sushi, nuts and olives. Take caution with cheese, thick sauces, sweet treats and alcohol. The key is to eat slowly. Take frequent pauses. To help with this, physically set down your silverware, plate or drink and take a deep breath. Just because the host made it and scooped it onto your plate doesn’t mean you need to spoon it into your mouth. Yes, taking a “courtesy bite” is a respectful gesture, but after that, do you. Indulging in food is one of life’s greatest pleasures. Make sure what you’re having is actually something you enjoy, and that you’re not just having it just because you feel like you must. Between each plate refill, wait until you can decide whether I’m actually physically hungry or not—or if you’re having an emotional pull to the food because I’m nervous, excited or distracted. Once you know where you fall on the satisfaction spectrum, you can decide if you really want more or if you’re “urge surfing,” If you’re really interested in another round, I eat it mindfully and dismiss judgment or guilt since you’ve made the decision to eat outside of emotion. It’s true, alcohol is basically empty calories, and when we start mixing in juices, creamy liqueurs and simple syrup, we add extra sugar calories to empty calories. Still, it is a holiday celebration and you should enjoy yourself. Just choose wisely. Hit the club. Opt for club soda as your mixer. It has zero calories and sugar—unlike regular sodas and tonic water. It’s not just about the immediate impact of imbibing in that Long Island, either. Alcohol increases appetite and can deter you from making sensible food choices. With that in mind, sip on a virgin drink between each alcoholic one to stay hydrated and clear-headed. Alternate water or another non-alcoholic beverage and your spirited drink of choice. Or have water and a drink at the same time if you can juggle both. Speaking of juggling, one of the benefits of casual cocktail parties over sit-down dinners is the ability to use your 10 fingers to cool your consumption. Always keep a glass of water or club soda nearby to grab when you’re tempted to pick at the buffet—but don’t really need another bite. Too often we indulge not because we really want to but because we’re on autopilot feeling awkward or just want something to do with our hands. You can also volunteer help pass around hors d’oeuvres or drinks—your host and your body will thank you. Because full hands means fewer mindless munches. The holidays are a special season—and you deserve to celebrate. Dessert should never be off-limits anyway. I always eat dessert daily to avoid feeling deprived. So on days when I have a holiday gathering, I plan to have my sweet treat at the party. Whether it’s one larger item or a few smaller items I can put together to make a full dessert, I fill up a small plate and let myself enjoy it completely. Did you snack on an extra sugar cookie or two? You blinked and that entire plate of petit fours disappeared? Stop the shame cycle before it starts. There’s no point beating yourself up for something that has already happened. Learn from the experience, and take that knowledge as a reminder to be more mindful next time. Tomorrow is another day and an opportunity to get back on track starting with a healthier meal. Even if you didn’t stick to the plan you set up for yourself and move on. Don’t wait until the New Year to commit to your health goals or to start over. Start now, stay focused and enjoy the beautiful time of year! We often like to host a party and therefore, can design the menu themselves. When I host a party I like to have plenty of healthy options and a few not so healthy. Many people enjoy healthy during the holidays because they crave a break from the other things, so I stock up on plenty of veggies, fruit, nuts and popcorn. I always have plenty of vegan, gluten-free, dairy-free and nut-free options for those with allergies or those following specific diets. When you set the menu, you control the ingredients and how much white sugar, white flour and other not-quite-so-nutritious items you add. Make your own cranberry sauce from fresh cranberries and to keep added sugar to a minimum. Instead, sweeten the pot with cooked apples and mangoes. In addition to an array of desserts, always have a platter of fresh fruit on hand. Try a crowd-pleasing pear cobbler. It’s lighter than pie because instead of a thick crust, it’s laced with crunchy home-made granola, a variety of chopped nuts and cinnamon. Plus there’s no added sugar. So you ring in the New Year with an extra pound. So what? Life goes happily on! Remember the holidays are about people: your friends and family. Make that your primary focus, and food secondary, and you will have such an amazing time.